Welcome to October! If you're anything like me, this month's been a long time coming. Summer seemed to go on forever, didn't it? Now that the heat looks like it's finally dissipating here in the 513 I can, at last, drink my favorite autumnal ales without looking like a complete fool. I was really planning on writing this post on Sunday, you know. But, due the illness that wracked me with pain and left me pretty senseless for 24 hour (and hit my like a ton of bricks Saturday night), that didn't really happen. No biggie, though, because I'm glad to be doing it tonight! I'm chilling on my apartment's balcony on this gorgeous early-autumn evening with my computer open on my lap and an open bottle of Schlafly's Pumpkin Ale by my side, ready to embrace everything this season is. Let me get into it, huh? I've never done a Schlafly post before and, in fact, I've only ever had one of their brews: I met up with some friends at a barcade earlier this year and had some Double Bean Blonde on tap--it was damn good. Which isn't surprising coming from the first brewpub to open in post-Prohibition Saint Louis, MO (which was in 1991, by the way). The brewery crafts more than fifty unique beers per annum and has a taproom located on the city's historic register. Check out the "About Us" page on their website to learn more about who they are and what they do (both of which are very cool). Elsewhere on The Saint Louis Brewery's website, you can find the official page for Pumpkin Ale (which I've linked for you here). According to it, the 8% ABV ale, brewed with pumpkins, squash, and spices, tastes like a pumpkin pie and is contains the fall spices you'd expect to find in one (namely: cinnamon, clove, and nutmeg). I have to give credit where credit is due: Schlafly's Pumpkin Ale smells exactly like pumpkin pie. I've had pumpkin beer after pumpkin beer and many of them have aromas that evoke pumpkin pie. But Schlafly absolutely nails it. The three spices I listed above are present here, as is (obviously) pumpkin, but all are blended with such accuracy that, if I didn't know any better--like, if you put this in one big unlabeled box and an actual pumpkin pie in another and had me smell them--I'd swear it's the genuine article. 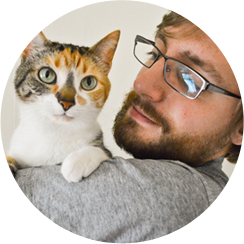 Purrl gave it four whiffs, so she kind of likes it? That's what I'd say, at least. And, damn near miraculously, the taste mirrors the aroma. For the first few sips, at least. Which isn't to say that the pumpkin pie-ness fades after a few swigs, because it doesn't. But, after those first few mouthfuls, the alcohol in the beer becomes apparent. This serves to add an element of warmth to this crisp fall beer which is, presumably, best enjoyed on a crisp fall day. But, as an added bonus, I'm finding something special lingering around in the ale's aftertaste: graham cracker. Have you ever had a pumpkin pie with a graham cracker crust? Drink this and you'll experience that, but in warming beer form. This has a healthy amount of carbonation. It isn't necessarily bubbly, nor is it insipid and flat. It's healthy. But, if you'll let me level here, mouthfeel takes a second seat that's far behind this ale's flavor. 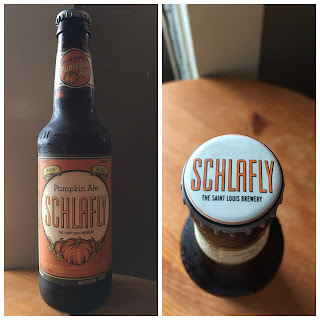 Schlafly's Pumpkin Ale reminds me of Halloween as a kid. Not a particular one, mind you, but an amalgamation of them. Here, I'm Batman. There, I'm the Red Power Ranger. Here, I'm at the house of the outskirts of the neighborhood where nobody's home but they left a bowl of sodas and VR Troopers cards on their porch with a sign reading "Take One." There, I'm dumping my haul out of my homemade orange candy bag while my mom inspects individual pieces to make sure I can eat everything. This beer, with its homestyle pumpkin pie deliciousness and alcohol warmth, brings all those excellent trick-or-treating nights to the front and center of my mind. It should hopefully be clear to you by now that I adore this beer. 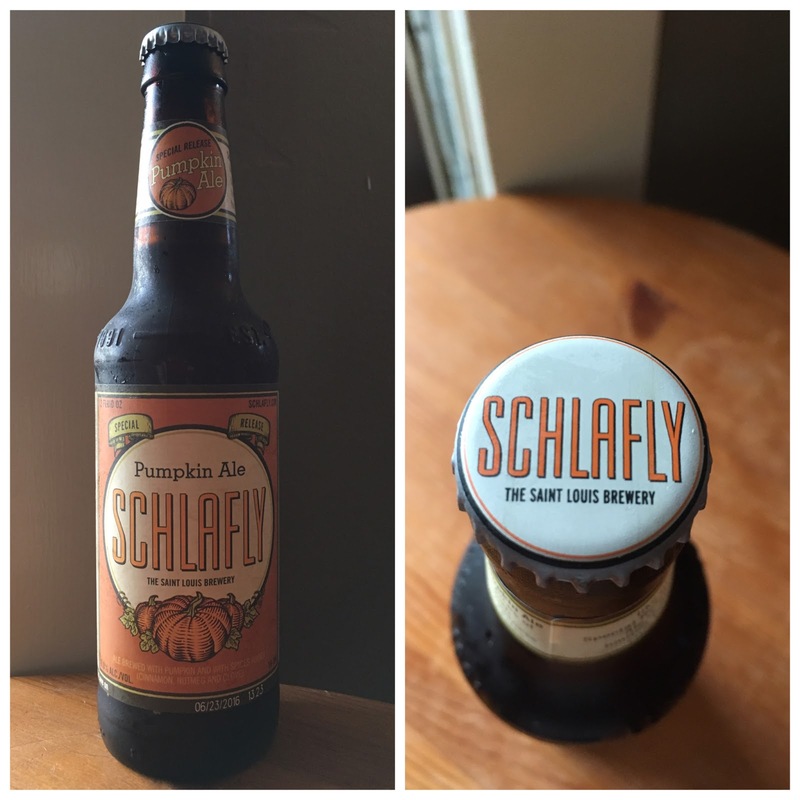 But, if it's not, maybe this will cement that clarity: Schlafly Beer's Pumpkin Ale gets an easy 10/10 from me. If you try one pumpkin beer in your life, make sure it's this. Unless you hate pumpkin pie, in which case you should learn to like pumpkin pie and then try this ale.